Thank you Day #21: Will we trust God to finish the work in us? Women filled the church. Worship was incredible. I finished my message and stepped down. This is always the most vulnerable part of ministry for me. It’s that moment where I’ve done what God has asked me to do and I let go of my expectations to trust God. Sometimes I see what God is doing immediately. The raised hands. Tears falling. While those outwards signs are beautiful, I can never discount what God is doing in ways that I cannot see. On our last day of this adventure, I want you to know that there’s more that God wants to do in you (and through you) as you continue to live a life of thank you. Maybe, like I did after that speaking engagement, you feel a little vulnerable. You see some change, but you want more. Continue to practice intentional gratitude. Give a “life of thank you” a chance to settle in and become a part of you. If you have an off-day, get back up. Ask God for new mercies and keep going. Any good work that God is doing in us will continue. It’s not meant to be a sprint, or even easy. You are being refined. You are learning how to be intentionally grateful. You are learning a new way to speak, a new way to see others. How exciting is that? May this be a beautiful beginning rather than an ending to this faith adventure. Lord, thank you for my sister. Thank you that this work is only the beginning. There is more refinement. More depth. More insight. More healing. More joy. All because of you. Amen. Thank you for joining in this 21-Day Adventure. This has changed me. I pray that it has helped you grow as well. Q: Read Philippians 1:6. What good work has God begun in you during these 21 days? Q: Are you willing to trust that he will complete this work in you? Why or why not? Q: What part do you play in continued transformation? What’s next for the Living Free Together community? Our word for 2019 in this community is Breathe. We are asking the Holy Spirit to breathe life into us, into our faith, into whatever it is God has called each of us to do. We are putting aside striving to receive the Spirit of the living God in all its fullness. I’ll be here every Thursday. I hope you’ll join me. Let’s continue to grow together, to go deeper in our understanding of Christ, and live free just as he has promised. I have some fun new adventures for 2019 including a new podcast with my friends, Holley Gerth and Jennifer Watson. It’s called More Than Small Talk. I’ll share more in a couple of weeks! Just three more days of this challenge! Do something completely unexpected. Pay for someone’s coffee or lunch. Drop a sweet note on their pillow. Call that person you’ve been meaning to call, for no other reason than to say hello. Make a donation in someone’s name or support someone’s nonprofit. Make a super short, super fun video. Tell someone about that amazing friend, daughter, mom, or mentor. Share it for the world to see. Make cookies (or buy some and put a ribbon on the box) and share them with a neighbor, your pastor’s wife, or anyone who loves cookies and needs a boost of encouragement. Share what you did. Let me rejoice with you, sweet friend. Giving with no strings attached is one of the most powerful heart-changing things we can do. Anytime we act selflessly, we become instruments of encouragement. That’s God in action. Q: Describe a time someone blessed you unexpectedly, and how it made you feel. Jesus didn’t ask those who followed him to change. He asked them to follow him — right where they were. That invitation of “Come with me,” changed their lives forever. They had no idea, but it would also change the world. 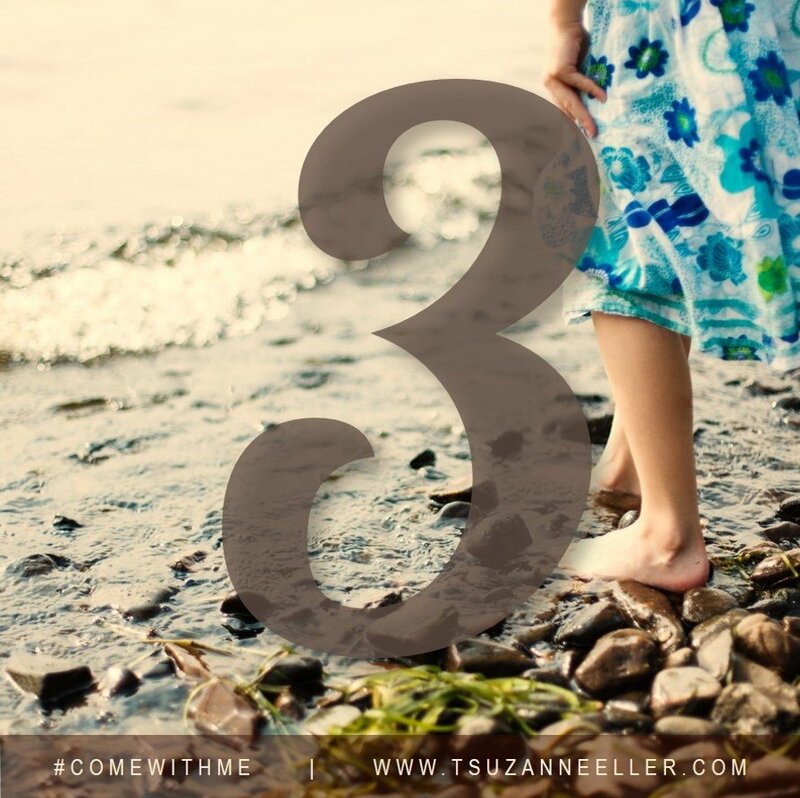 Discover the beauty of saying yes to that invitation day-by-day in Suzie’s book, Come With Me. I used to struggle with taking a compliment. “Mom, you look pretty today,” my daughter would say. Some might say that I was being self effacing. Humorous. Humble. I wasn’t any of those things. I simply didn’t know how to accept a compliment. There’s a lot of reasons that can happen. We don’t believe it. We don’t want to be vain. My inability to say a simple thank you to a sincere compliment sent a message to my two beautiful daughters, as I bounced back their kindness with a negative. I was telling them that I wasn’t worthy of their sincere words. I was pointing out what was wrong, even as they dropped encouragement into my heart. I also sent a message that if things aren’t perfect, you can’t accept a compliment. An email sat in my in-box. The email had lots of Jesus words thrown in — with an edge. It isn’t the first I’ve received. There will be more. 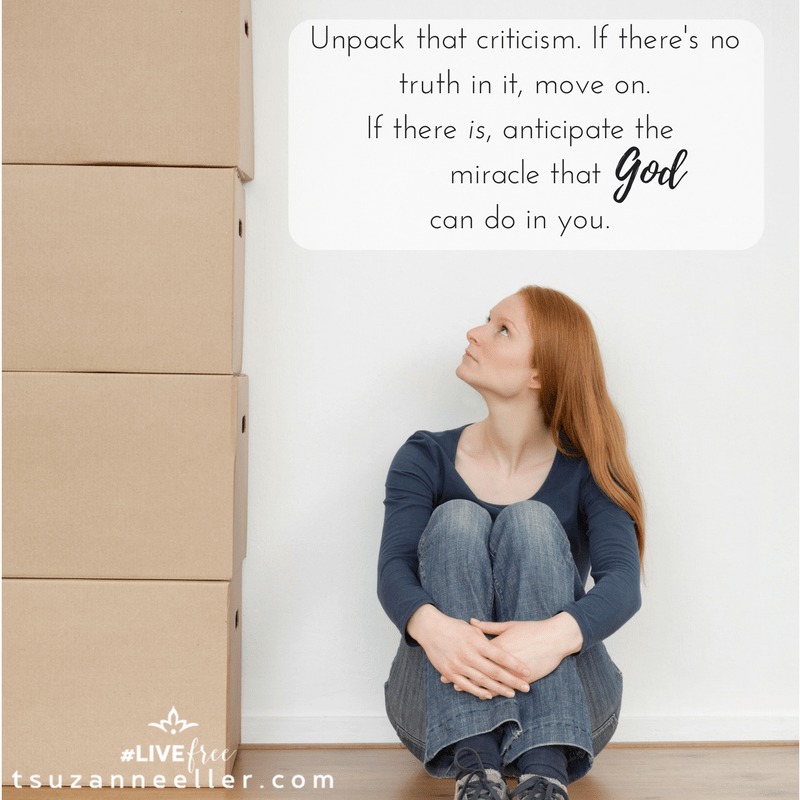 What do we do when we receive criticism? Emails or messages like this are far from the majority. If they come, they are mixed in with encouraging emails. Honest questions. Stories that make me laugh or cry, and emails that totally make my day. On Day #16 of Living a Life of Thank You, we’re going to look at criticism and explore what to do with it. Living a life of thank you means that we are totally aware that we are growing, flawed, and totally human. We aren’t above critique and our hearts are wide open to learning more about the world, others, and ourselves. Today, on Day #15 of Living a Life of Thank You, come around the table with me and my friend, Julie Lyles Carr. She’s a mom of 8. She’s a speaker, writer, podcaster to moms, and leads women around the world and in her city of Austin, TX. In today’s conversation we talk about how to find the originality in our children and tap into that to help them live their own life of thank you. You are now entering a no-complaint zone. . .
Last week we started looking at barriers that get in the way of living a life of thank you. Today, we continue to take that deeper. One barrier that can get in the way of living life of thank you is complaining. Certainly we experience feelings or see that a situation is hard. We are honest about that with God, with ourselves, and with those closest. Complaining is different than being honest and transparent about a situation. Complaining is expressing dissatisfaction or annoyance about a state of affairs, an event, or a person — with no offer of resolution. Throughout scripture we see examples of this. God reaches for his people. He leads them. He encourages them. In return, they gripe. They murmur. They complain. They thought he should do it differently. They wanted more. They wanted it now. They resented the heat. They didn’t like the cold. They wanted to hear his voice. They didn’t like it when he spoke through the prophets. They were angry at uncertainty. They wanted an adventure. They demanded food. They didn’t like the food God provided. They were so busy complaining they couldn’t hear God. They couldn’t see the gifts he was trying to give them. They didn’t see the gifts they already had. They missed being in the center of his will, because they believed they knew better. Do you struggle with complaining? We all struggle with this from time to time, for we are human. But is it chronic? Has this become our identity, or the way that we communicate with those we love the most? 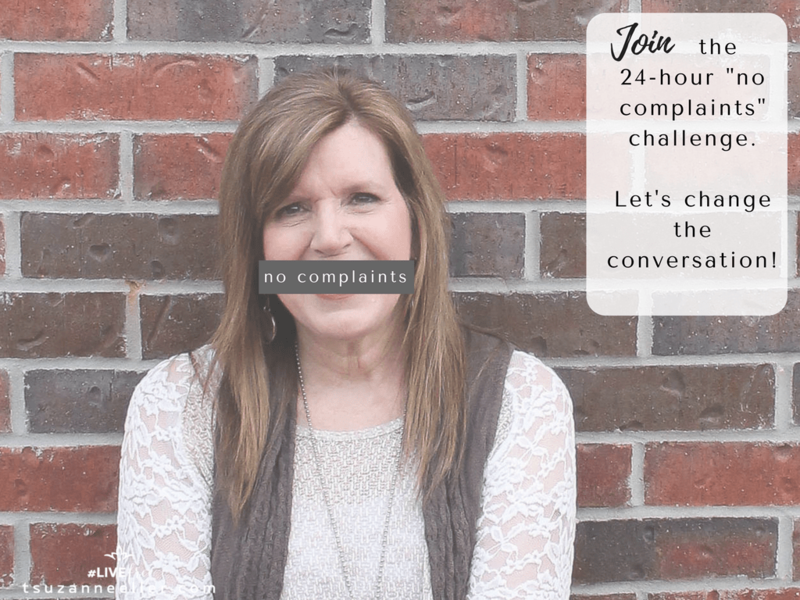 Last year, I asked thousands of women to join me in a no-complaint challenge. I invited them to honestly listen to themselves in this area of conversation, and to invite the Holy Spirit into the process. 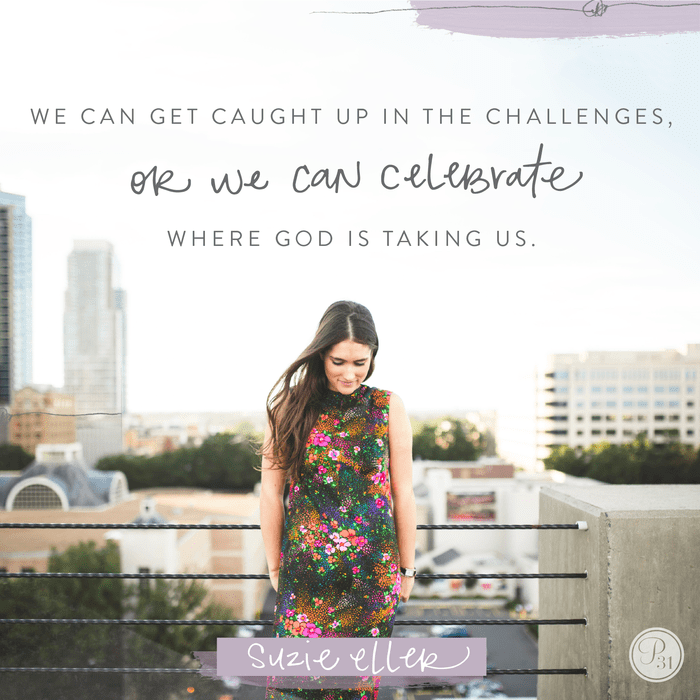 This wasn’t about condemnation, but to truly take a peek into our heart. One woman shared that she complained mostly to a teenaged daughter, and no one else. She was unhappy with her daughter’s attitude. She didn’t like what her daughter said, or didn’t say. When she started listening to herself, she was surprised to hear her words from her daughter’s perspective. Another woman confessed that she and her family had moved earlier that year and she was unhappy with the move. She 100% believed God brought her and her husband to their current city, but she was sad to leave old friends. She was unhappy to leave her church. In the 24-hour challenge, she realized that most of her day involved conversation wrapped around what she lost. One day I’m going to bungee cord. I’m going to let them strap me in and I’ll step off. I’ll swoop down like a bird, and then boomerang back up. It’s on my bucket list and I’ll post pictures when it happens. Maybe some of you will be with me, and we’ll do it together! As exciting as this sounds, I don’t want the same experience in my faith. I don’t want to feel like I’m stepping off a ledge, only to plummet and then swoop back up. But let’s get real, that can happen. A good day = up. A bad day = down. On a good day, God is good. On a good day, I am good. On a good day, life is working out like I hoped and so God must be in control. On a bad day, God has forgotten me. I wonder if he sees what is going on. I question whether faith is worth it. Doesn’t faith equal a good life? On Day #11 of Living a Life of Thank You, we are going to dismiss the myth that good or bad days determine our worth, God’s love, or our capacity for joy. How did your 24-hour challenge go? Yesterday I asked you to listen to your “love language” that you speak to those closest to you. Did you learn something new about yourself? Maybe you are much more of an encourager than you realized! Perhaps there were words you spoke that you don’t like. Why do this 24-hour challenge? When we are aware of what we are saying, we can look at why. I grew up in a home where words fell like bricks. I had some unpacking to do as I grew in my faith. Rather than beat myself up for what I didn’t know, I began to reach for a new way of communicating. Is this the same thing you heard when you were growing up? How did these words feel when you heard them? Ask God to expose those old, generational-bound words. You are a new creation. You are loved. You may still be a work-in-progress (as we all are), but God is continuing to do a new work in you. You aren’t stuck with that second-hand love language. 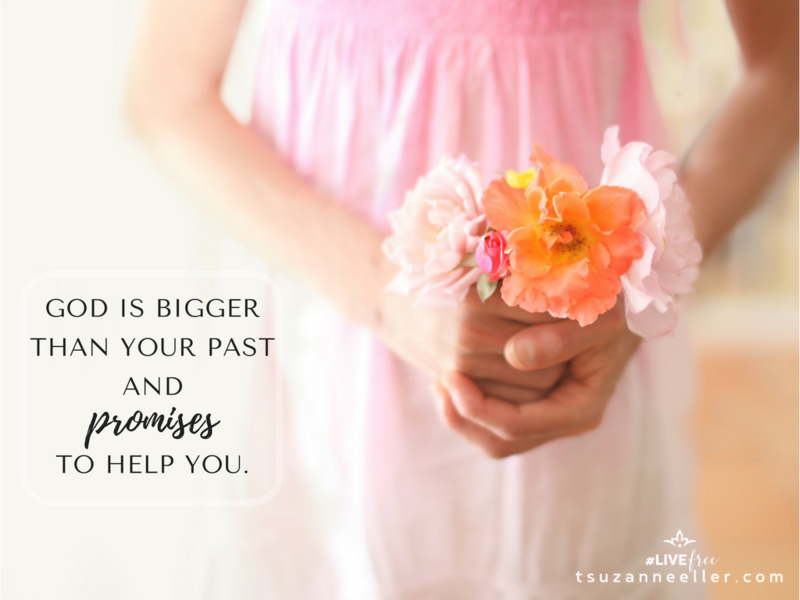 God is bigger than your past and he promises to help you. Did these words come from tiredness or discouragement? When I’m exhausted, my words tend to reflect that. It took a long time for me to give myself permission to add rest in to my long list of to-do’s. If you are tired (and most of us are), what changes need to be made? Is it possible to ask for help? Is there anything that can be changed? If your schedule is overpacked, will you give yourself permission to pare it down as much as you can? We aren’t obligated to do and be everything. We just aren’t. We have the right to see our family and ourselves in a holistic manner and make room for rest and balance. It might not look like the family next door, but you aren’t the family next door. Are your words a bad habit? Sometimes when our people love us like we are, or we know they’ll forgive us, we don’t think twice about complaining, criticizing, nagging, or lashing out. We don’t necessarily like it. We know that they don’t like it either. We just haven’t done anything about it. We are secure in the fact that they love us enough to give us grace — which is a good thing. BUT, the fact that they love you that much is actually motivation to learn a new love language. Sometimes our best love language is a sincere apology. None of us will do this perfectly, but a do-over means that you ask for forgiveness. You grant it, where needed. The old is put away, and it’s not pulled back out when you are angry. New mercies. New beginnings. Just like we are given by God every day. As you practice this, you’ll begin to develop a genuine love language that makes sense for you and those you care about. Some of the most beautiful conversations I’ve had are with a daughter who is feisty and fun. I never know what she’s going to say. I don’t want to change that about her. I don’t want to change that about us. That might not work in someone else’s family, but it absolutely works in ours. Give yourself lots of grace as you adapt to your new love language. Make adjustments as you go. Add in grace. Add in “give and take.” Add in lots and lots of love. It may take time to learn your new love language, but over time it will feel like you. Take a moment and journal a prayer inviting God into your words. Q: Were you surprised at the results of your 24-hour challenge? Why? Read Psalm 141:3; Proverbs 15:1; Psalm 19:14; Proverbs 15:23. Each of these speak of the power of our words. Q: In what ways do you hope to enrich or change your love language of thank you? Do you want to take this topic deeper? You might love these! Walking daily with Jesus makes us more like him. The Come With Me Devotional: A Yearlong Adventure in Following Jesus can be transforming as you start your day with him. Download this free digital Come With Me Prayer Booklet that can help you when you don’t know the words to pray.